Mrs Catherine Ablema Afeku, the Minister of Tourism, Arts and Culture has said her Ministry is committed to working assiduously to have special energy rate for players in the hospitality business to boost the industry. ''It is not within our purview, so it will take dialogue, lobbying and it will take some kind of policy arrangement'', she added. Mrs Afeku disclosed this on Monday, in Accra at the maiden Ghana Tourism Investment Forum to showcase to potential investors all tourism and hospitality projects. 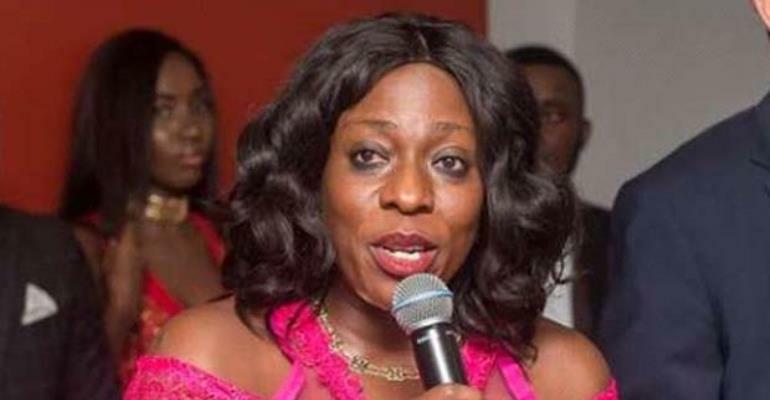 Mrs Afeku said her Ministry had tasked the Ghana Tourism Development Company (GTDC) to look for investments around tourist sites to be supported by the Ghana Tourism Authority (GTA) and other agencies within the Ministry that would help bring sanity to the tourist sites, especially investments in sanitation and other activities to make the sites competitive. The forum is a collaboration between the GTA, GTDC, and the Ghana Investments Promotion Centre (GIPC) under the auspices of their respective sector ministries, namely Ministry of Tourism, Arts and Culture and Ministry of Trade and Industries. The forum, on the theme ' promoting and enhancing tourism investment in Ghana ', was aimed at driving investor interest in the tourism sector, as well as educating investors about Ghana tourism plans and projects. The forum was also to serve as a platform to exhibit bankable projects and also as an avenue for dialogue between the investment community and the public sector, and bring together leaders in business and policy makers within the country. Dr Zimblim Barri Iddi, the Deputy Minister of Tourism, Arts and Culture said in 2017, there were 304 new additions to the tourism establishment, 123 in accommodation, 55 in the food and beverages catering sector and 18 in travel trade operations. In addition, he said the Authority had 19 stakeholder interactions with operators across Ghana and the feedback from the feasibility and the stakeholder interactions showed that the multiplicity of taxes, levies and fees, high energy tariffs and low staff capacity drew back progress in the industry. Dr Iddi said to help address the concerns, there was a multi-sector Ministerial Committee reviewing proposals on how to harmonise the work of the agencies under the Ministry of Tourism and lessen the burden of doing business. ''We have made presentations to the Ministries of Energy, Finance and the PURC in finding more innovative ways to reduce energy tariffs for our sector'', he added. He said there was a wide range of opportunities in the tourism sector, as the World Travel And Tourism Council stated that, globally tourism contributed USD$ 2.3 trillion annually and 109 million jobs worldwide, and it was believed that in the next five years, one out of every 10 jobs would be in tourism. He noted that tourism alone could not stand on its own if there was no proper infrastructure at fastest growing industry in the world economy, as more wealth was being created, more people were spending money on tourism than anything else yearly. Mr Akwasi Agyemang, Chief Executive Officer, GTA, said the forum was to kick start a dialogue aimed at unlocking the tourism potential into an interlocking success pan that drives jobs, visitor arrivals, boosts local communities and above all make a significant contribution to the GDP. He said Ghana must look for ways to build investor confidence in Ghana's tourism, as the country was faced with a huge infrastructural deficit with 1.5 million per annum needed to address it. He said the sector was one that needed the investment, adding that the challenges could not be solved at this forum but was expected that, all would make useful and meaningful contribution to help formulate policies that had the potential to deliver.